To the extent that you attempt to assert any such claim, you hereby expressly agree to present such claim only through binding arbitration to occur in Ft. Lauderdale, FL. You further agree to and do hereby waive any right to class arbitration and agree, instead, to conduct an arbitration related solely to any individual claims you and/or any entity related to you asserts against the Company. To the fullest extent permissible by law, you further agree that you shall be responsible for all costs associated with initiating the arbitration and for the administration of the arbitration. Pricing is the first step in profiting to your potential. If you struggle here, struggle no more! 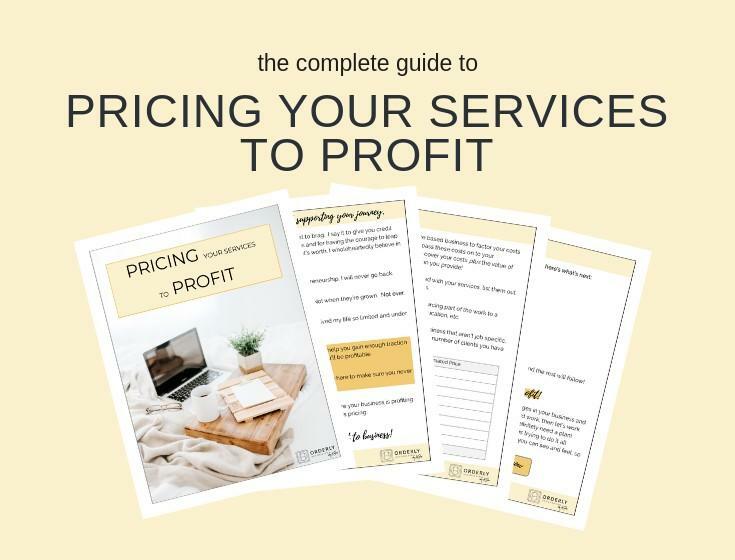 7 POINTS TO CONSIDER WHEN PRICING YOUR SERVICES & HOW TO PUT IT ALL TOGETHER. so your clients are happy and you don't sell yourself short. Pricing is the first step to a profitable business.